Skype’s newest software for Windows allows you to make video calls to all your friends on Facebook, even if they aren't Skype users. 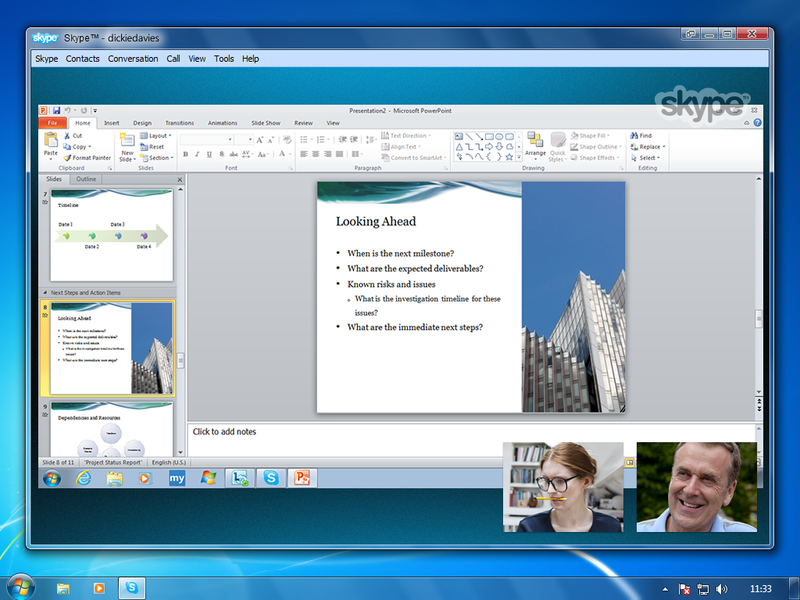 Version 5.8 also brings full HD video calling (with compatible webcams), and group screen sharing as a premium feature. Skype’s Facebook integrationis now about complete. If you’re on Skype, version 5.8 for Windows connects to your Facebook account, so you can see your Facebook wall directly and update your status. Your Facebook friends also appear in your Skype contact list and you can see who is online and instant message directly with them. The best part of Skype’s Facebook integration, though, is that you can make video calls to your friends even if they don’t have Skype -- it’s all done within the Facebook interface (just install the Skype app on Facebook). 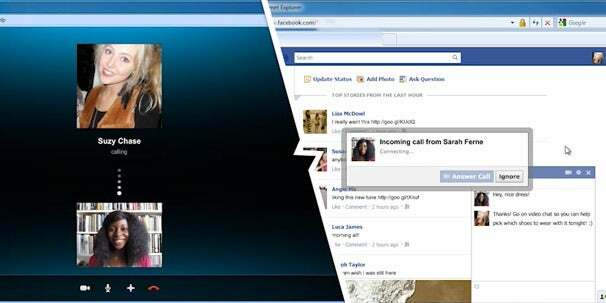 You can call your Facebook friends directly on their mobile or landlines using Skype credit. Skype is also pushing HD video calling with the latest update, but this feature comes with a couple of caveats. First, you need to have a connection with at least 2Mbps upload/download speed, and secondly, a $100 Logitech C920 webcam for 1080p video. If neither are problems for you, then Skype’s HD video calling should be a breeze. If you’re a Skype Premium customer (from $4.50 per month) you can also check out a new feature called group screen share, which allows you to share the entire screen or a single application window with others on a conference call -- while you continue to stream video. The premium option includes group video calling as well, with up to ten people.